Its October, Art lovers! While everyone is enjoying their pumpkin spice everything and watching the leaves change, we are looking at more art in the Charlotte Area. The month is off to a great start with events this Wednesday, Friday and Saturday! Hope to see you there. Book signing event at SOCO Gallery. Author Jeff Jackson will be signing copies of his newly-released book ‘Novi Sad’ at SOCO Gallery on Wednesday, October 5th from 6 – 8PM. The novel, published by Kiddiepunk, is a gorgeous powder blue limited edition artbook that will also be signed by Jeff Jackson’s collaborator, artist Michael Salerno.To pre-order copies, please email info@soco-gallery.com. The College of Arts + Architecture presents War and Other Remnants, an installation by Jarod Charzewski, in Storrs Gallery from October 7 through December 1. The gallery will host an opening reception and artist talk on Friday, October 7, from 5:30 to 7:00 pm. The event is free and open to the public. Charzewski’s installations rearrange the recycled residual of mass consumption to show us who we are. War and Other Remnants sets “Military Carving by the Book,” Charzewski’s three soldiers made from recycled books on war, as guardians in front of a landscape of used clothing. The active stance of these soldiers will “protect” yesterday’s bright and colorful clothing purchases, as the rolling hills of wear and tear fill the Storrs Gallery behind them. This recycled “used” landscape is a recurring theme in Charzewski’s work and is referred to by the artist as “the geology of the new earth.” The used clothing will be donated from Goodwill® Industries of the Southern Piedmont for the duration of the exhibit and returned after the show; the soldiers are on loan from the artist. Opening Reception at Sozo Gallery for Wandering a collection of works about the intersection of life’s journeys, both worldly and internal, and the spirit of wanderlust that fuels them. 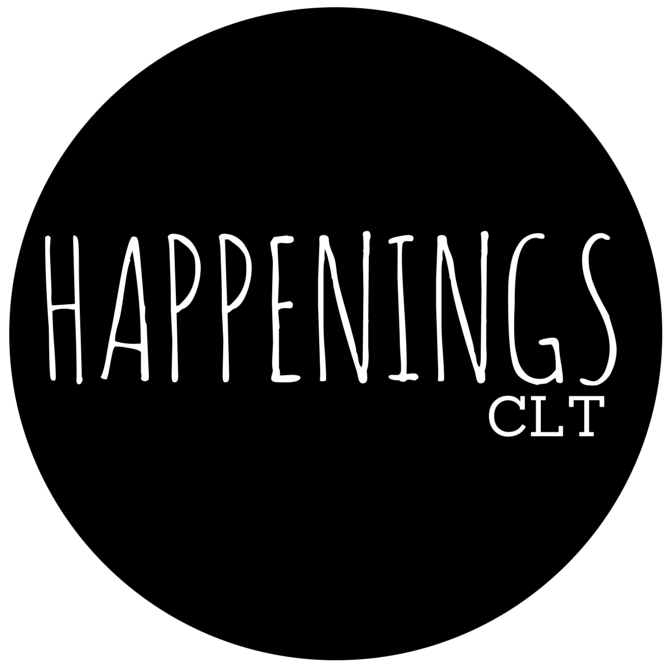 Hear from Charlotte-based artists Carolyn DeMeritt and Margaret Strickland. Created nearly thirty years apart, the photographs featured in ‘cusp’ timelessly capture the fleeting in-between of female adolescence and examine girlhood as a place as much as a point in time. In photographing friends and family, DeMeritt and Strickland’s poised portraits of girlhood commingle to create a site of encounter between gender identity, gender performance and the tensions therein. You’re invited to experience what makes McColl Center the vibrant contemporary art center that it is by joining us for this special Family Art Making Day at Open Studio Saturday. Everyone is welcome and admission is FREE. Explore all sorts of ways to create art alongside our Artists-in-Residence. They’ll open their studio doors to you and your family to talk about their work and creative process. Hands-on art experiences will be waiting for you, too.